Audience development is a term that describes various practices intended to include the audience in the life of a cultural institution. These actions are supposed to not only lead to a greater number of visitors and more frequent visits of individual guests (the quantitative aspect), but especially to bring about a qualitative change – a deeper relationship with the viewers and their deeper involvement in co-creating the institution as participants in workshops or debates. In order to ensure a steady development of Wrocław Contemporary Museum, it is necessary to conduct regular research of the audience. Importantly, it must assume the form of a dialogue, not simply a Q&A sessions. 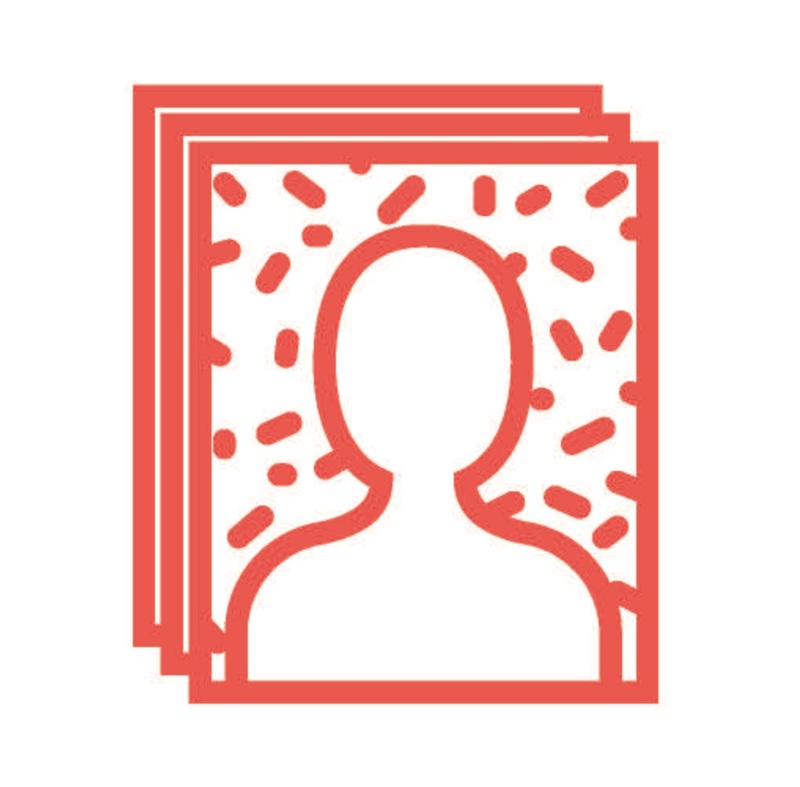 This is why we also want to talk about ourselves – who we are and what we do. 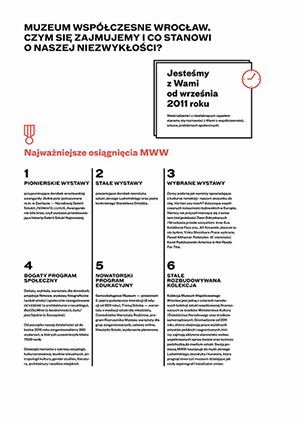 The programme of audience development at MWW was initiated by sociologist Bartek Lis and educator Magdalena Skowrońska in 2015. For two years they have been involved in making the museum more open to its nearest environment and establishing close contact with the visitors. Below we present the results of a questionnaire conducted in the summer of 2015.